My brother got married last weekend so we went back to Vegas for a visit. We were all looking forward to both the visit and the wedding. As much as I hate to put this out there, this is the first girl that my brother has ever dated that I liked and could see him making a future with. 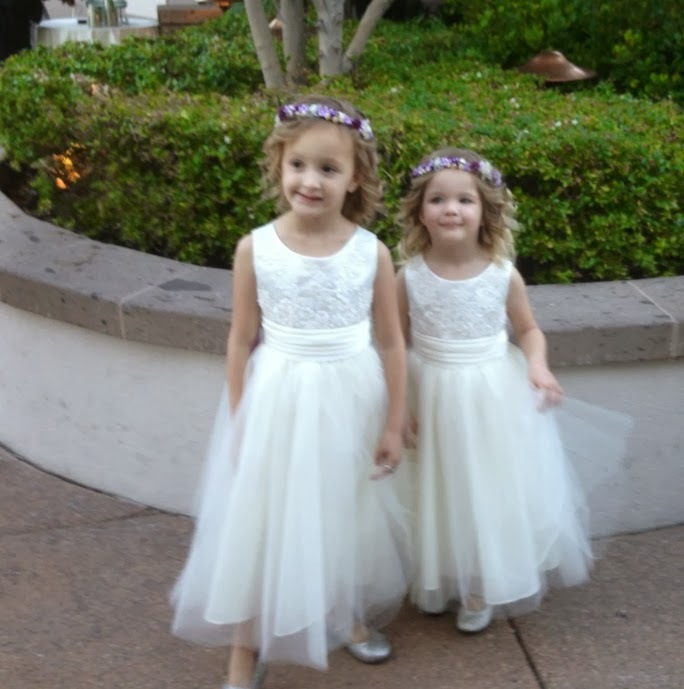 My kids were in the wedding and they were so unbelievably cute! My girls got their hair done for the first time. Molly's hair took over an hour to curl, so I'm in trouble when the teenage years are here. Brett got a little teary when I sent him a picture of Belly once her hair was done. 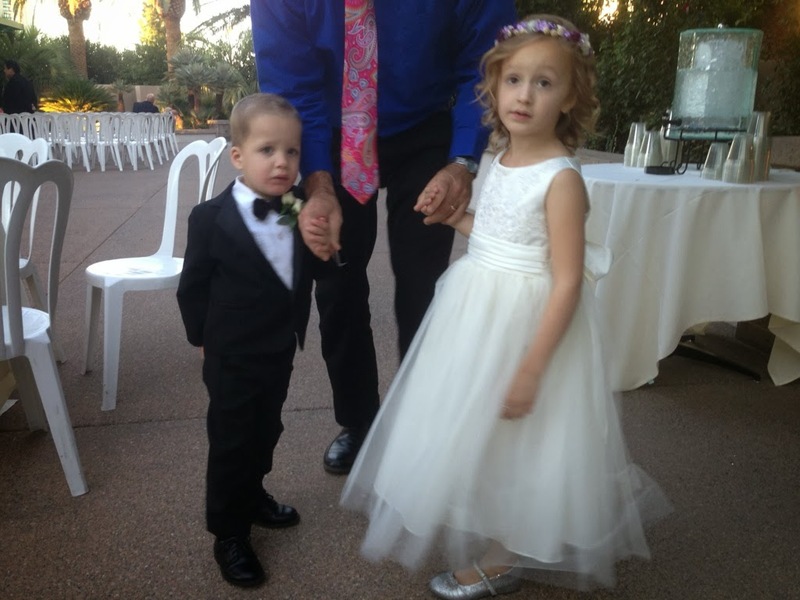 He was worse once he saw them in their dresses. I'm pretty sure those curls made her grow up right before my eyes. Going to church on Sunday morning was difficult for me. While it was great to see everyone, it was hard to see the family we left behind. And we didn't get to see one couple that we were very close to and that really sucked. Molly started running a fever before the wedding. That is not at all surprising to me, it's kind of our family's way of doing things. All three kids were sick by Tuesday and they missed school and picture day. I was up two nights this week with a sick kid. Why do kids wait until the middle of the night to throw up? I find it very annoying! On Thursday Mark tested positive for Strep, yea! No school for him this week, and he is very sad about it. It's sweet seeing his love for school. The third night I was up for hours with Isabella who kept having nightmares. She wouldn't wake up but she was crying in her sleep. Freaked me out! I'm beyond exhausted! It was a long weekend followed by a sick week.No down time for this mama.